The JPC disclosed at the Council meeting on Monday 20th February that the anonymous flyer about becoming a parish councillor, which was circulated with the last JPC Magazine, was provided by the Warwickshire Association of Local Councils (WALC). Many residents had complained that it contained very obvious inaccuracies. The "Do I qualify to stand for election?" panel failed to include the word "AND" and word "OR" THREE times, turning 4 alternatives into one single requirement with 5 criteria. Had this been correct, it would have disqualified all the retired electors and anyone working more than 3 miles outside the parish from becoming a councillor. It would also have meant that 10 out of 12 of the present councillors would not qualify to stand. The chairman, Cllr Roger Hubbocks, with the powerful support of Cllr Les Goodman, blocked any discussion and suggested the matter could be taken up with WALC. 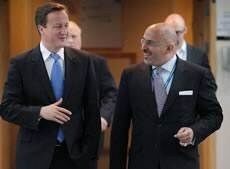 They agreed that the leaflet had been distributed without any checks being made on its accuracy by the JPC. 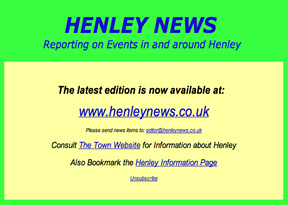 After the meeting, Henley NEWS emailed WALC saying that their leaflet contained inaccuracies. WALC responded by agreeing and revised the leaflet. Click to view the corrected version. Will the JPC now distribute the correct version? Katie Johnson, who is a university undergraduate, is currently working on her final year dissertation. 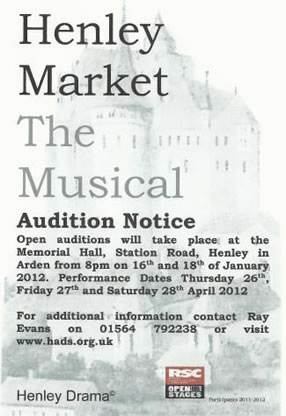 She has kindly agreed to assist the Henley War Memorial Trust with a needs survey for the new Pavilion project. 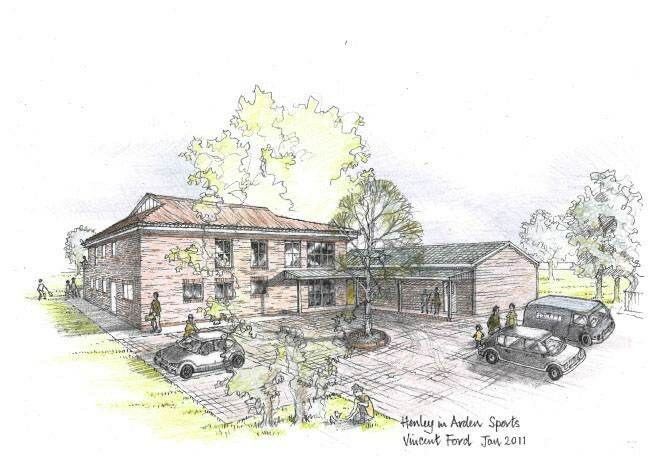 The aim of this survey is to investigate whether the proposal for a new sports pavilion to be built on the sports and social club site in Henley in Arden would be a viable and sustainable solution to the current issues surrounding the existing club house. 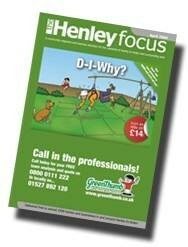 It is important to get the opinions of the local people of Henley and district. Peter Crathorne told Henley NEWS, "This is a very exciting and innovative project; it is essential that we end up with a building that serves the community well. 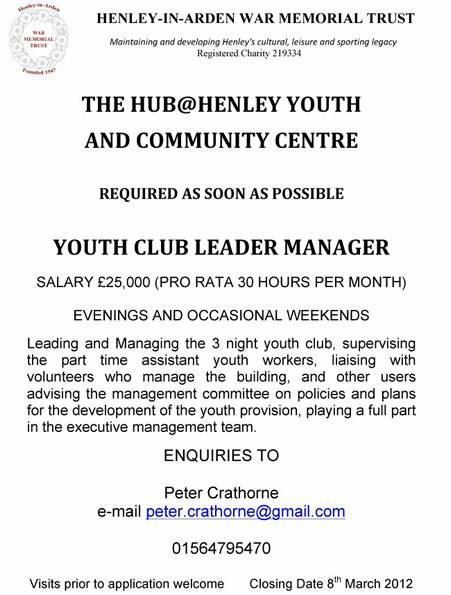 I hope that local residents and club members will give a little time to respond to this questionnaire." Katie commented, "I hope the research I carry out will help when deciding the future of the pavilion. As a local resident, I have an added interest in the pavilion and its success." 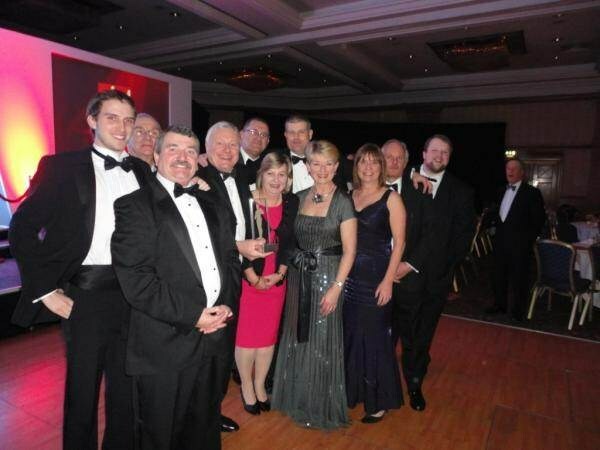 Johnsons were crowned Service Provider of the Year at the annual Midland Business awards. The Gala event, held at Birmingham's Hilton Metropole, sought to highlight the good work of companies throughout the Midlands region. Johnsons, who were nominated for the award in late 2011, were highlighted as worthy winners for the excellent service provided day after day. Accepting the award on stage with the other members of his team, Peter Johnson was quick to point out that teamwork was the driving factor behind Johnsons success "“I am delighted and honoured that we have had our efforts recognised as a team. Being able to combine small family business values with a larger business outlook allows us to give excellent levels of service – and the judges have agreed." A bedraggled badger that was difficult to distinguish due to being so badly caked in mud has been rescued by the RSPCA from a football net. Discovered on Monday 13th February trapped in the net on school grounds at Henley-In-Arden High School, the young male badger has now had a much-needed wash and is barely recognisable as the same animal. The badger was tightly entangled in the netting but still displayed a natural defence instinct, baring his teeth when RSPCA animal collection officer (ACO) Simon Dix approached! Simon put the youngster on a grasper and carefully cut him free but as he wasn’t able to remove all the netting from his body he was transported to Vale Wildlife Hospital in Tewkesbury. The netting was particularly tight around one of the badger’s front legs causing major swelling. Under anaesthetic the netting was successfully removed and the badger received some much needed pampering in the form of a warm shower. Having received antibiotics and anti-inflammatory tablets the badger is coming on well and it is hoped he will be released back to the wild within the week. Anyone who finds an injured or trapped wild animal can call the RSPCA national cruelty and advice line on 0300 1234 999.
Henley NEWS is offering a FREE ticketing service for organisations in the town which are running charity events. It provides applicants with a registration form to collect all their details which are automatically written to a spreadsheet. This spreadsheet is available for you to inspect and print off 24/7. A reply email is sent to the applicant summarising their booking and instructing them to send a cheque with a copy of the booking to an address which is specified by the organiser. 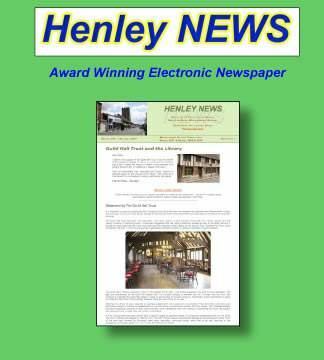 You will also get a free listing on the Henley Ticketing panel of the Henley Notice Board in every edition until the event takes place or is sold out. This new system has been used for the Guild Hall Trust Sicilian Feast and it sold out in less than 10 days. .
To book for any of the above events, go to the Henley Notice Board below. 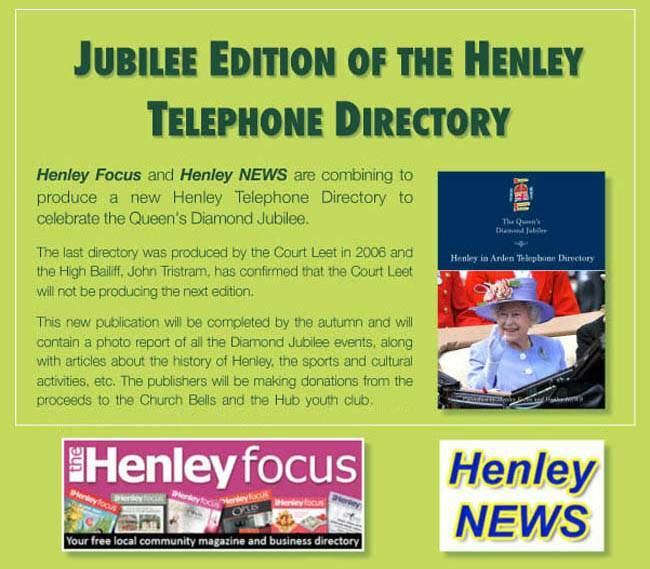 Henley NEWS would be delighted for any organisations in the town to use it, even if the event is foc or pay at the door. 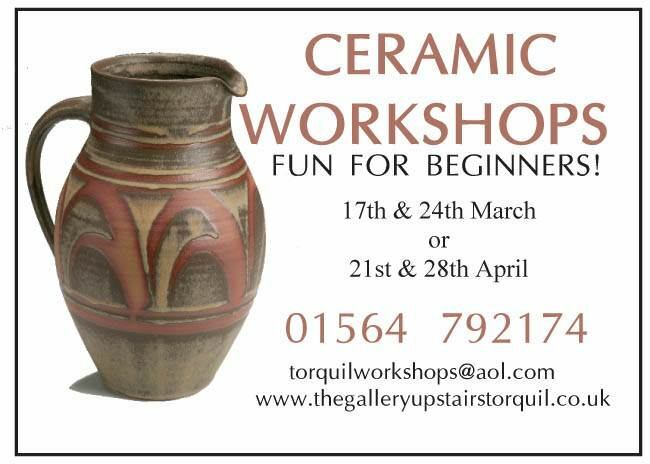 Torquil’s resident artists Jayne Lucas, Carey Moon and Gerry Rooney demonstrate hand built paper-clay vessels and tiles. The idea of having a workshop over two sessions is that during the first session we will show you our making processes and you will be able to make a cylinder or vessel – and then there is time for your pieces to dry before you decorate the following week. The cost for the two sessions is £95. (This includes glazing and firing your work; there will be a small surcharge for larger vessels). Using different clays: porcelain, stoneware and paper clay, you will practice various hand-building, decorating and finishing techniques to produce work that you can take home and enjoy! 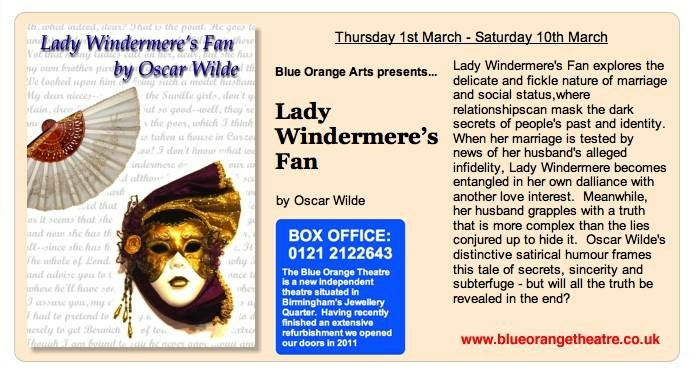 There is also an opportunity to develop your own ideas and work on your own project with support from resident artists Carey Moon, Jayne Lucas and Gerry Rooney. The cost for the 8 sessions is £250 (this includes glazing and firing your work, there may be a small surcharge if you create a large masterpiece!). 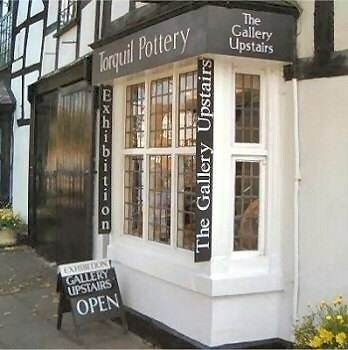 This is for advanced students, or those who have done ceramic courses in the past and would like time to develop work with encouragement and guidance from experienced ceramic makers. We can suggest work to start you off or you can develop your own projects. The cost for the four sessions is £120 (this includes glazing and firing your work, there may be a small surcharge if you create a large masterpiece!). Although the doors of Henley Heritage Centre are now closed for the winter there is a good deal of activity taking place preparing for the new season which starts on 1st April. 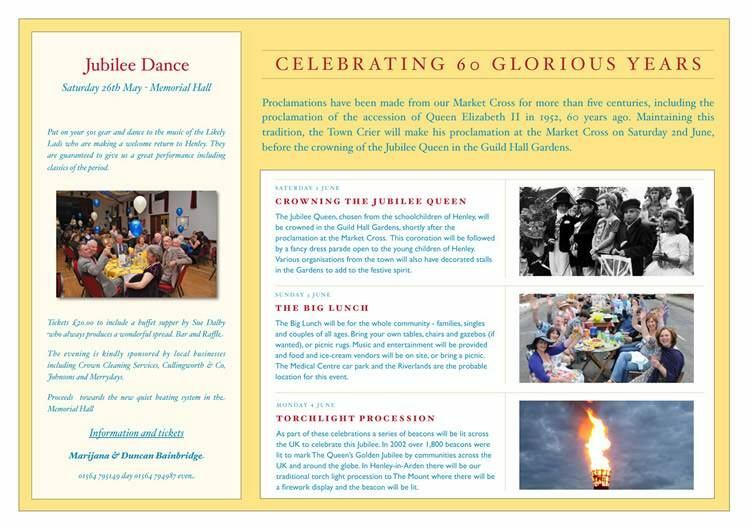 Exhibits are being cleaned and updated and new exhibits include a special display dedicated to the Queen’s Jubilee, looking at events and changes over the last 60 years, both locally and nationally. Ray Holding who runs the Centre said, "This is always a very active and interesting time of year for us when we take stock of what we have achieved over the years and how we plan to move forward over the coming season. The Centre is run by an enthusiastic and very willing band of volunteers, who between them enable the doors to be open to the public for six days each week. We are still looking for a few more volunteers who would be willing to spare two hours a fortnight as front-of-house stewards, to greet visitors and answer any general queries they may have." The Centre, which tells the story of a typical medieval market town, is open from 1st April to the end of October. 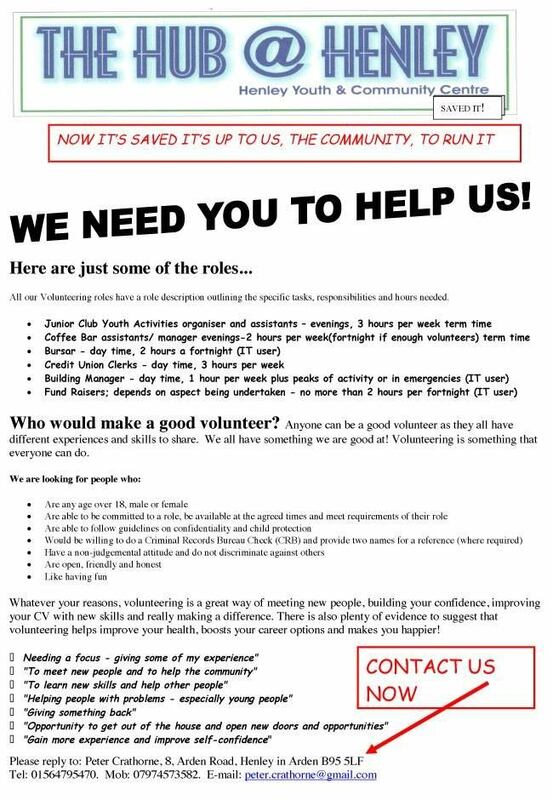 Anyone is interested in volunteering should contact Ray on 01564.792512. A five-screen cinema will be built in the centre of Stratford – despite concerns it could kill off the town’s other venue. 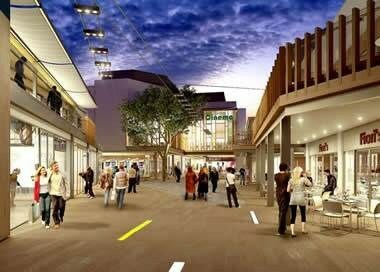 Stratford District Council has approved plans to demolish part of the shopping centre in Town Square. In its place, a ground floor retail development, which could include restaurant units, will be built with a five-screen cinema on top. Applicant London Regional Properties says the area is currently “a disgrace to the town” and the redevelopment will generate 100 new jobs. After a 3-hour meeting, six members of the Stratford District Council west area planning committee voted in favour of the £10million development, and four voted against it. Many of the planning committee members expressed their difficulties coming to a decision, particularly because people spoke against the proposals at the meeting. The Mayor of Stratford, Bill Dowling, objected to the plan on the grounds that the cinema's height and bulk was not in keeping with the historic nature of the town. A number of objections were made – with some people suggesting that a new cinema could kill off the two-screen Picture House in Windsor Street. Another 73 letters objecting to the proposals were received while three letters of support were sent. Two (as it were) high constables are chosen. Although it followed the same procedures as the Court Baron and was attended by the same people, the Court Leet dealt with different business and had different origins. The Court Baron had seigniorial jurisdiction which concerned the manor; the Court Leet had royal jurisdiction concerned with the regulation of the vill, a privilege granted to a lord by the crown. Frankpledge was a system of suretyship and mutual responsibility which enforced law and order. It was conducted from the Late Saxon period where the vill was responsible locally for organising fiscal, military and policing duties. The responsibilities of the Frankpledge was that members attended royal courts; that fugitives' belongings were collected; that they responded to the ‘hue & cry’, raised when a suspected crime had been committed; to send representatives to the Hundred Court; to present to the Hundred Court all nuisances, crimes, trading offences etc. The Hundred Court was responsible to the County Sheriff and met twice a year. It was required to perform the View of Frankpledge where all adult males were recorded. 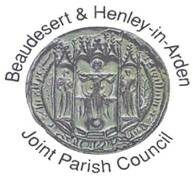 Henley belonged to the Pathlow Hundred while Beaudesert was part of Barlichway Hundred. By the 13th Century, many Views were being done by local manorial lords rather than the Sheriff. This privatisation was acceptable to the Crown and the newly formed Leet Courts conducted the View of Frankpledge. However, a conflict arose between the Hundred and Leet Courts especially since it was the Leet Courts who decided what a major offence was and what was to be sent to the Hundred Court. The benefit to a lord in acquiring a Leet Court was financial as well as jurisdictional. The annual payment to the sheriff at the View of Frankpledge was now paid to the lord. The lord also profited from the amercements from misdemeanours, nuisances, crimes and trading offences. After 1260 the administration of the assize of bread and ale was added to the issues considered by the Leet. Lords could regulate the price, quality and measures used by the bakers and brewers and punish those who did not abide by them. This biannual meeting was usually held at Easter and Michaelmas and dealt with petty activities, minor misdeeds, retail infringements, obstructions and encroachments. By the end of the 13th Century even contemporaries were terming it the ‘Leet’ Court and its rise coincided with the decline of the Hundred Courts. Beaudesert – The tithingmen there present that John Clopton (2d) and the heirs of Edward Crowley (2d) owe suit and have made default. We present George Whatley for killing Thomas Loch. The Leet jury comprised Capital Pledges or Tithingmen - elected representatives at the View of Frankpledge who made presentments. Most punishments took the form of petty financial amercements but some offences were punishable by the use of stocks, pillory or cucking-stool. These instruments were seen as the proper instruments of Leet jurisdiction. However, the Frankpledge unit would continue to carry out their duties to the Hundred Court. Serious cases would be sent to the Hundred Court but were rarely mentioned in Leet Court records since these concentrated on the local interests of the lord of the manor. Originally Manorial Courts and Court Leets were recorded separately but by the 15th Century they had generally been amalgamated into one Court. We present Eliz Smith for a common scold and troubleth the Kings court leet. Ideo subeat penam lavandi super le Cookingstoole. By-laws began as a way of regulating agricultural arrangements but expanded to regulate many other aspects of life including public order issues. These were local statutes drawn up by the presentment jurors, in effect the principal tenants or local village elite, with little external supervision. The decline in serfdom and servile obligations in favour of contractual tenures and then a decline in copyhold tenure and a growing preference to process land transfer through solicitors saw Manorial Courts decline. Copyhold tenure was finally abolished in 1923. Although most cases once handled by the Court Leets transferred to the Church Courts or sessions of the JPs, some Courts continued to record minor nuisances, trade offences, enclosures, encroachments, destruction of boundaries and ditches, neglect of buildings and sub-division of tenants. Some areas saw local landowners preferring to use the local Court Leets as they had a better chance to dominate the jurors. Henley’s Court Leet continued to be active and held courts, although fairly infrequently during the 19th Century. Since Fieldhouse revived the Court in 1915 it has met annually, and continues to hold meetings and make presentments. As late as 1917, George Parkes was presented by the jury for encroaching on the Lord's Waste. In 1977, the Administration of Justice Act finally abolished extinct and antiquated Courts except those specifically excluded. Today, the Court Leet maintains the traditions and history of the town, participates in many events and promotes causes and activities for the community. Angry parents have accused council chiefs of penny-pinching and putting young children travelling unattended on school buses at risk. It comes after last year’s decision by Warwickshire County Council to remove paid assistants from primary school buses in a bid to meet huge savings targets in the current economic climate. In September chaperones were removed from buses for primaries in Wolvey and Long Lawford, as well as Cubbington in Leamington and Newton Regis near Nuneaton. And seven more chaperones will be axed across Warwickshire once school resumes after this week’s half-term break. The council has however decided to retain them on buses for schools in Princethorpe, Southam, Stratford and Henley in Arden. Members of Henley-in-Arden Flower Club enjoyed a visit from Julia Mitchell. Julia, a local florist who specialises in weddings and conferences, kindly gave up her Valentine’s evening to provide a wonderful demonstration of floral delights entitled ‘Sweet Romance’. Julia retrained 7 years ago as a florist after a career in sales and now provides floral arrangements at some of the biggest and best locations in the country. Her stories of working with her team to produce 894 bouquets for a business conference and wedding flowers for a ‘no expense spared’ wedding at Blenheim Palace where the theme was soft pinks and lilacs, were entertaining. She also shared tips on how to prepare floral bouquets that will last and advice on ‘tablets’ which keep gerberas from wilting in an arrangement. 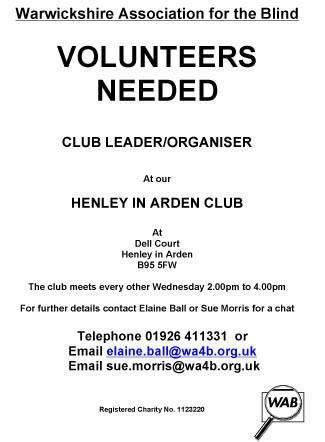 The next meeting of Henley in Arden Flower Club will be held on Tuesday, 13th March at 7.30 pm. Nick Grounds a National Floral Demonstrator will be visiting the Club. Nick has a reputation for providing an entertaining evening whilst wowing his audiences with fabulous flower arrangements. Visitors are welcome to the Club with tickets available on the door priced £5 at the Memorial Hall, Station Lane. 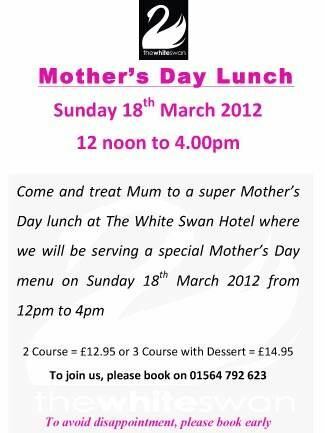 Please call Paula on 07974 640994 for additional information. 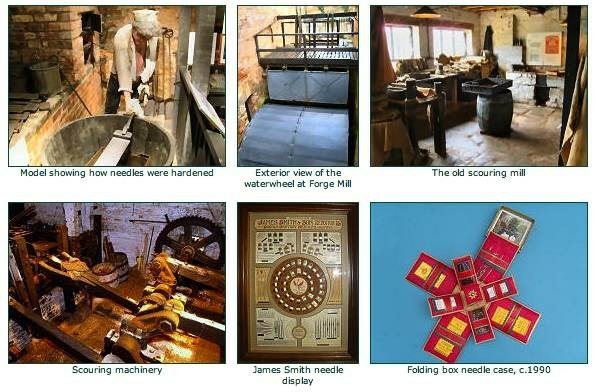 Jo-Ann Gloger from the Forge Mill Needle Museum in Redditch gave us a fascinating insight into the history of needle making and told us a little of what the museum has to offer. 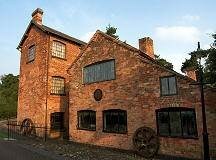 There is evidence that needle making in the Redditch area goes back to the 17th century, but it was in Victorian times that the industry really took off and by the end of the 19th century Redditch was producing 90% of the world’s needles as well as fishing tackle and surgical instruments. Needle production begins with coils of steel wire being drawn through a series of ever diminishing holes, before being cut and strengthened. Needles were, and still are, produced two at a time with both ends of the wire being pointed before being divided. Originally needle pointing was done by hand. This was the best paid job in the factory, but it was also the most dangerous. Slivers of metal could fly up and blind the pointer, or the grindstone itself could shatter and cause fatal injuries. Not only that, but the pointer was always inhaling dust from the needles and the grindstone, and would often contract a crippling lung disease called “Pointers Rot”. It is not surprising that the life expectancy of a pointer was no more than 35 years. However, when early health and safety legislation was brought in, workers revolted because of their diminishing danger money. After the double pointed needle left the pointer, it would have two eyes punched in it by a drop hammer before being split in half. At this stage outworkers, often including young children, took over filing off excess metal and smoothing the actual eye. The needles were then hardened in a furnace before being quenched in an oil solution. After that the needles would be taken to the water powered scouring mill for an an eight hour procedure. At its peak in Victorian times, up to three million needles a week might be processed in the scouring mill. After scouring the needles were glazed to put an extra shine on them before being dried in sawdust in the barreling shop and returned to their factories for packaging. The museum has a comprehensive collection of needles going back through the ages including ‘golden eye’ needles. Apparently the golden eye makes it easier for a person threading a needle to see the hole. And as well as needles there are displays of fish hooks and specialist surgical instruments. The museum also has examples of some of the fruits of working with needles in the form of exquisite quilts and tapestries. The next meeting will be the Society’s AGM on Thursday 15th March at 7.30pm in the Baptist Church Hall. 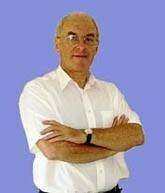 Immediately following this Roger Pringle will talk about ‘Shakespeare and his Local Background’. Visitors and new members are very welcome. Further details from Pat Kench on 795419. 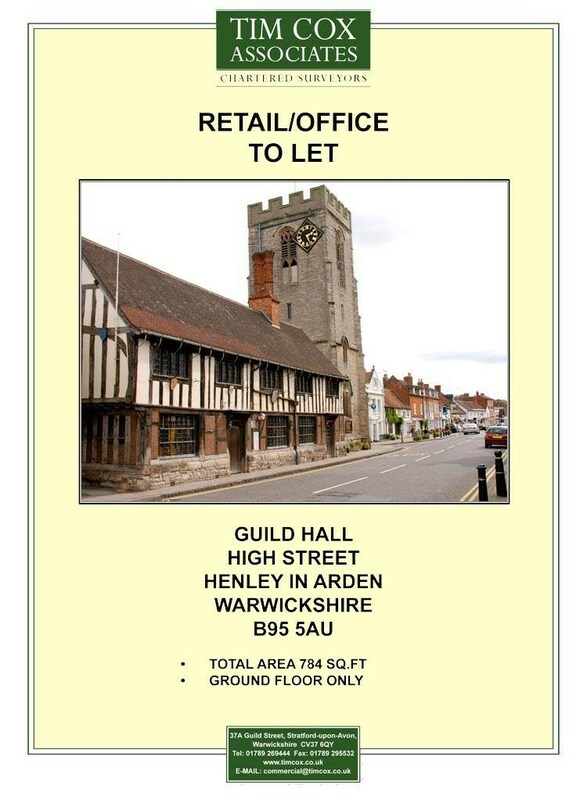 The property is located on the High Street in Henley in Arden and forms part of the Guild Hall building and has been used as a local Library for many years. The accommodation is on the ground floor only and lends itself to a variety of different uses subject to planning permission. 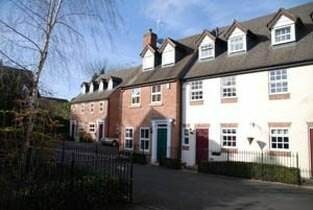 It currently comprises largely open plan accommodation totaling 784 sq.ft. Interested parties are asked to make contact with the Letting Agents to discuss any proposed use and rent is on application. 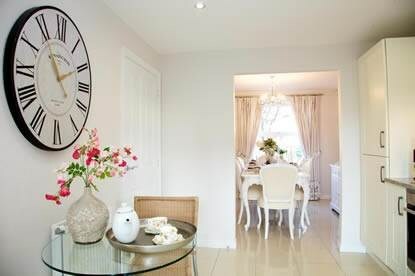 House hunters looking for a stunning new home in Henley in Arden should head down to Taylor Wimpey Midlands’ Farriers Cross development in the area, where there is just one coach house remaining! The fantastic detached two bedroom Rye is a fantastic investment for young professionals and would make the perfect starter home. 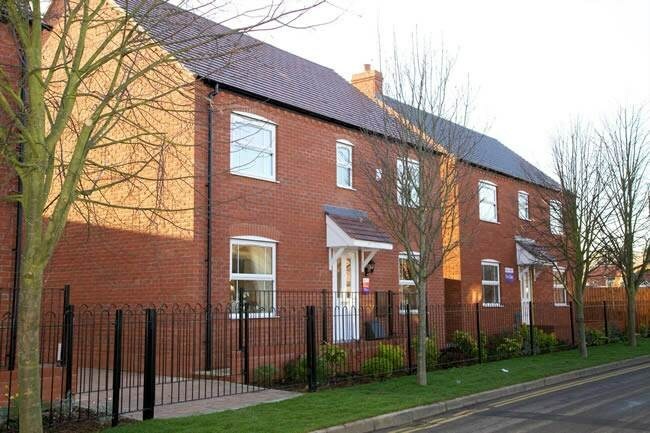 Priced at just £174,995, this incredible property comprises a private entry and hallway, generous living / kitchen area, two bedrooms and a modern bathroom, parking and benefits from freehold. you for caring enough to call. Nominated as the best short joke this year..
"Mum" he asked, "are these my brains?" Last week someone asked me a question about carbon dioxide. The question made me realise that although these two words are much in the news in connection with climate change, a quick summary about this gas might be of interest. First, some chemistry. Atoms are the smallest form of each chemical element. There are 90 different naturally occurring elements ranging from hydrogen, which is the simplest and lightest, weighing 1 atomic weight unit, to uranium, which is the most complex (internally) and heaviest, weighing 238 atomic units. Think of atoms as unimaginably small particles; a row of about 1,000,000,000 side by side approximately equals the diameter of the head of a pin. 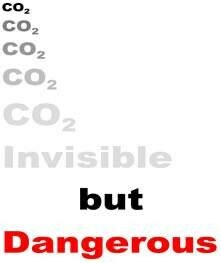 Carbon dioxide as the name suggests is made from two elements. One is carbon and the other oxygen. These are both fairly small and light elements having weights of 12 and 16 atomic units respectively. The element carbon is a solid. Of the fuels we commonly use, coal is about 55% to 90% carbon powder in a compressed form mixed with various impurities such as earth and minerals from the trees. In liquid fuels like paraffin, petrol and diesel, carbon is combined with hydrogen (and small amounts of other substances). Because hydrogen is very light, most of the weight of the fuel comes from the carbon. A typical liquid fuel has roughly two hydrogen atoms to every carbon atom so the proportion of carbon by weight is 12/(12 +1+1) = 12/14 = 86%. The element oxygen in its naturally occurring form is a gas and makes up about a fifth of the air about us (most of the rest is nitrogen). An oxygen atom weighs 16 atomic units. When carbon is burned in air, it reacts with oxygen to form carbon dioxide and heat. The chemical formula for carbon dioxide is CO2, which is a shorthand way of saying that each carbon atom has joined up with two oxygen atoms. This means that CO2 weighs a lot more than the original carbon. The ratio of the weight of CO2 to the weight of the original carbon is (12 +16+16)/12 =3.66. So, for example, when 100 tons of jet fuel are burned, the weight of carbon involved (as explained above) is 86% of 100 tons = 86 tons and the weight of CO2 produced is 3.66 x 86 = 315 tons. The question I was asked was, “Why does an aircraft burning 100 tons of fuel in a flight produce about 300 tons of CO2?” A bit of chemistry has given us the answer! A colourless and odourless gas. This is why it is a problem. It is effectively invisible to us, but its damaging effects happen nonetheless. Think of it like radioactivity (also invisible) – a little is OK, but too much is harmful. Toxic to humans in concentrations above 1% in air, but the current concentration is just under 0.04%. Density = 2kg per cubic metre which means that it is nearly twice as dense as air, but in the atmosphere it is fully mixed in and the continual movement of gas atoms means that it does not sink to the surface of the earth. Carbon dioxide is a little unusual, in that cooling the gas leads directly to formation of solid carbon dioxide rather than liquid. Solid CO2 is known as dry ice and evaporates directly to gas without melting. Carbon dioxide and certain other gases absorb heat that is radiated from the earth rather than letting the radiation escape into space. By doing this it warms the atmosphere. This is the greenhouse effect. The earth would be a cold and inhospitable place with an average temperature of minus 18deg C if it were not for the greenhouse gases in our atmosphere. On the other hand, if CO2 is continually added to the atmosphere, the extra greenhouse effect will cause more heat to be retained by the atmosphere with generally bad consequences for mankind. I’m not talking about success – but about succession. 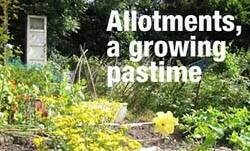 Or successful succession if you like. All organisations employ key individuals in key roles. When those individuals move on they can leave a gaping hole and the organisation needs to fill it, sometimes very rapidly. There needs to be someone waiting in the wings if the business is not going to suffer. This is usually called Succession Planning, although it may really be contingency planning. Strictly speaking Succession Planning is designed to make sure that the organisation can continue to function with the right people with the right skills at the right time. It can have positive spin-off benefits as well such as bringing in new and fresh talent or motivating existing employees with a clear and feasible career path. Well run companies have a succession plan that is reviewed annually. They use this to develop their managers and offer them a future with the company. Many large companies employ a senior executive who has responsibility for this activity. You can imagine that senior employees might be very concerned about what the succession plan says and whether they are featured in it. This could be very delicate and cause resentment so be careful how you handle it. Be open about why you want to introduce succession planning with your current workforce. Be clear with your current employees about your rationale and let them see the possibilities for them. If there aren’t possibilities for them, then be clear about that, but let them know why. Be clear about the criteria you are going to apply to any succession planning exercise and communicate it widely. Be structured. Make sure that you and everyone knows how it’s going to work and what they can expect. If you want to source talent from within, tie your succession planning to your appraisal/feedback scheme. It is the easiest way to have those conversations and help people work in a way that helps them aim for different roles. If employees think they can progress in their own company, then they are more likely to stay. Chart out career pathways for your staff so that they can plan for the future. If your succession plan includes attracting talent from outside the organisation, make sure you have tapped the potential within first. But the most important tip is: Don’t leave it till it’s too late! Start working on it now! Anyone interested in supporting this new group can register their support below. We have some good ideas about what we would like to change to make Henley even better, but we would really welcome your input – what changes would YOU like? 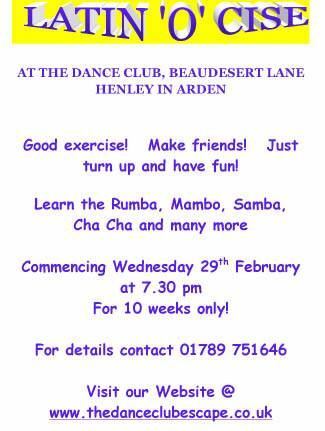 Friday 24th February 7.30pm at Church Hall, Beaudesert Lane. Cost £7 to include Fish & Chips. 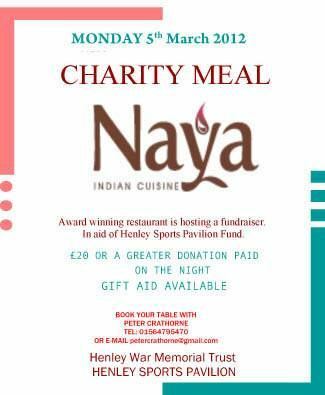 Phone 703640 or 792204 for tickets. 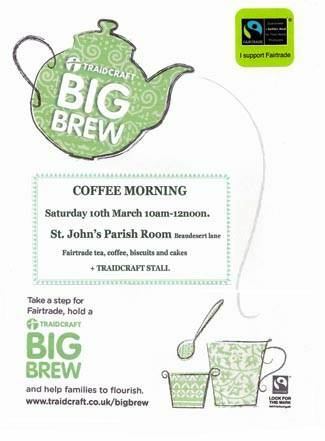 28th February Val Bourne (Garden writer (Telegraph) and broadcaster) will be talking on Snowdrops. Ullenhall village hall 7.30pm. 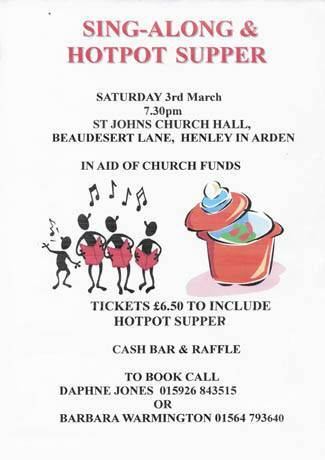 Saturday 3 March at 7.30pm in the Church Hall, Beaudesert Lane, in aid of church funds. 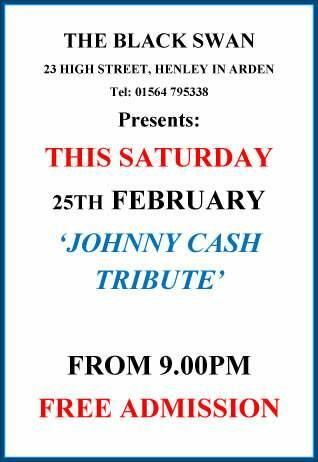 Come and sing along to well known old time and other favourite songs. Bring your friends and have a home cooked meal and enjoy the music. 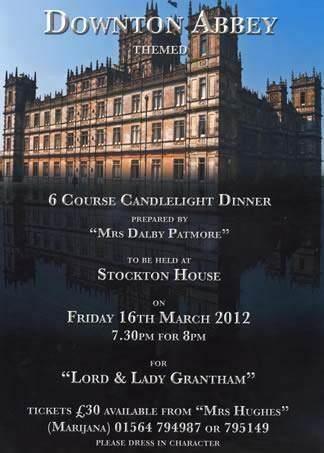 Tickets only £6.50 (to include Hotpot Supper) from Barbara Warmington 01564 793640 or Daphne Jones 01926 843515. Cash bar and raffle. 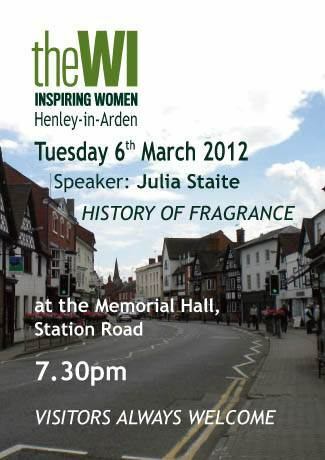 Julia Staite will be telling us about the "HISTORY OF FRAGRANCE" at our meeting in the Memorial Hall on Tuesday 6th March. 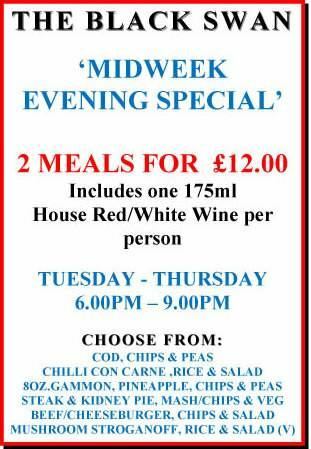 Come and join us from 7.30pm and find out about our varied activities each month. Visitors welcome. 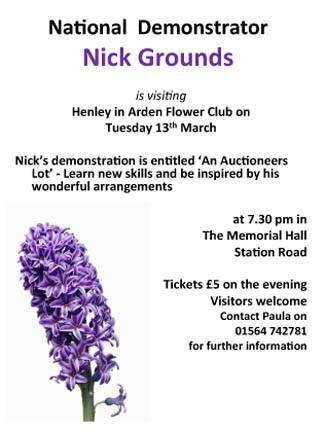 13th March Nick Grounds will provide a floral demonstration ‘An Auctioneers Lot’. 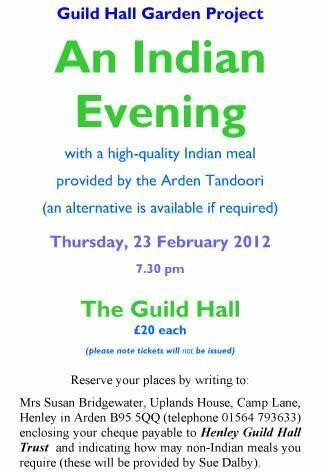 Tickets on door £5.00. Details from Paula Pugh 07974 640994. 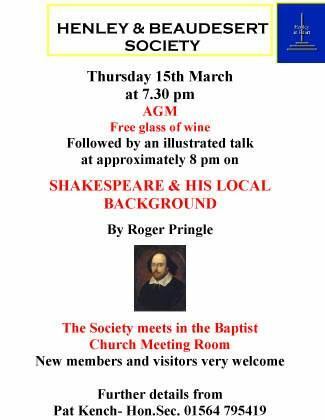 Our next meeting is on Thursday 15th March in the Baptist Church Hall at 8.00 pm when Roger Pringle will give a talk on ‘Shakespeare and his Local Background’. 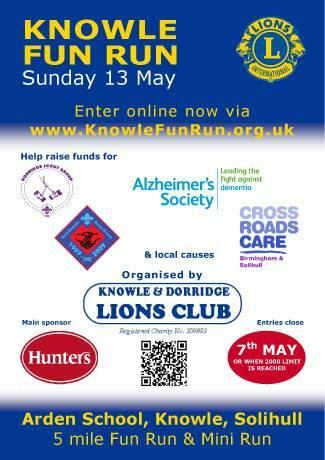 Visitors and new members are very welcome. Further details from Pat Kench on 795419. On Tuesday March 20th Laurence Kimpton will be presenting "Spitzbergen". 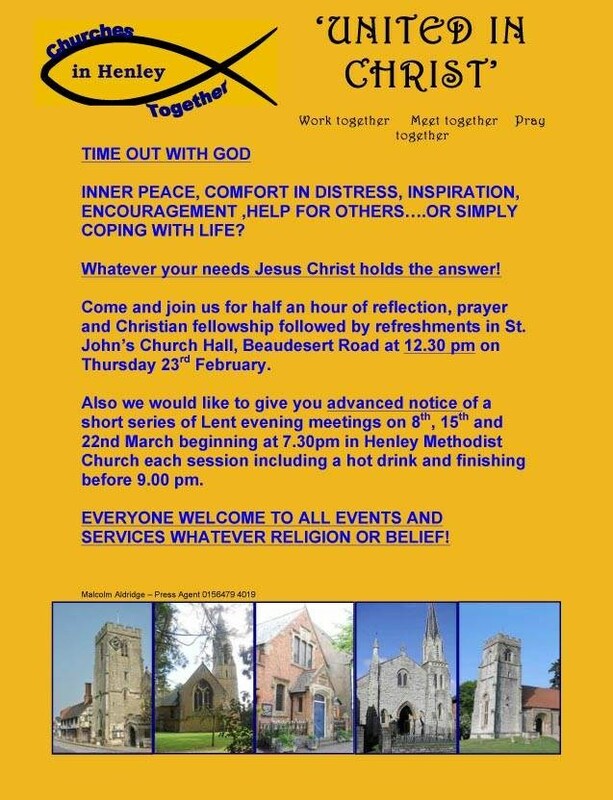 Come and join us in the Baptist Church Hall from 7.45pm - all are welcome.